Pressed sleeve clamp provides external end-to end connection, and features a central stopper for correct positioning of scaffold tubes. Pressed Sleeve Clamps offered by us are high in demand for their salient features like smooth finishing, durability and dimensional accuracy. 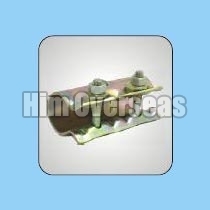 We are an established Manufacturer, Supplier and Exporter of Pressed Sleeve Clamp.